Have you ever stopped throughout the day to do a sniff test of your shirt only to realize that a weird smell is emanating from that very piece of fabric? The odor can be from an array of different sources, from food you spilled on yourself during lunch, body odor from the last time you wore this to the gym, from a heavy hand of detergent you used in your last wash cycle, or even chemicals that have found their way onto your clothes through the manufacturing process. If, however, it’s a new piece of clothing that has a strong chemical smell, don’t be surprised. 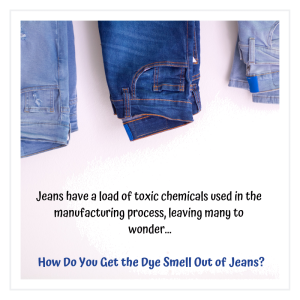 Many clothing manufacturers treat the new fabrics with chemicals such as dyes and formaldehyde during the manufacturing process, particularly jeans. Jeans have a load of toxic chemicals used in the manufacturing process, leaving many to wonder how do you get the dye smell out of jeans? Chemicals and dyes are used in the clothing manufacturing process to increase the appearance of clothes, leave them anti-wrinkles, and preserve the life of the fabrics. Rinse all contaminated clothing (new clothes or chemical exposed clothing) in plan cold water. This can be done in a laundry sink, large bucket, or in the washing machine. Then wash the garments in the hottest water temperature that is recommended on the care label, use detergent and a chemical neutralizing laundry enhancer to remove the harmful chemicals from the fabric. 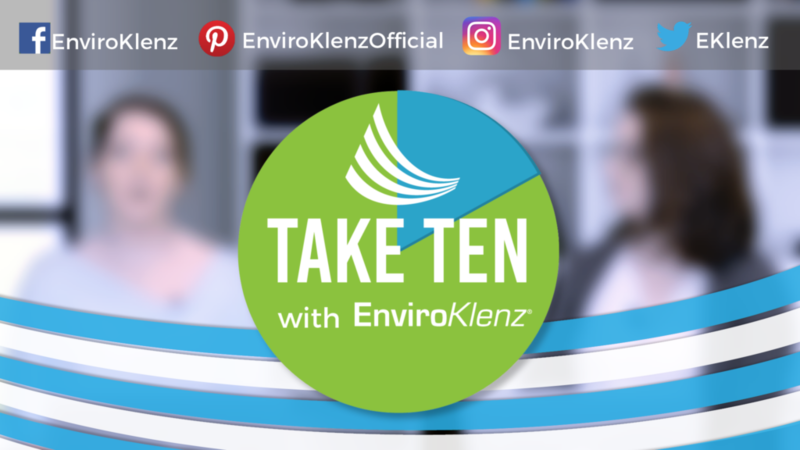 The EnviroKlenz Laundry Enhancer is a safe and effective laundry enhancer that removes stubborn odors and chemical odors from clothing. 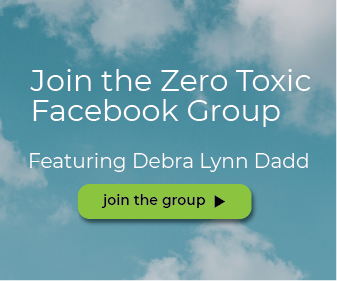 Safe clothing can be a huge problem, and for those that are extremely sensitive to chemicals and chemical odors, any presence of these compounds on clothing can significantly impact their health. 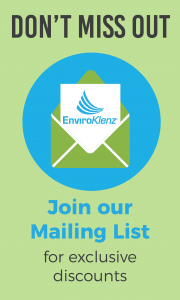 The EnviroKlenz technology, however, is designed to break down and neutralize a broad spectrum of noxious odors, chemical odors, and chemicals from a variety of sources including fabrics. 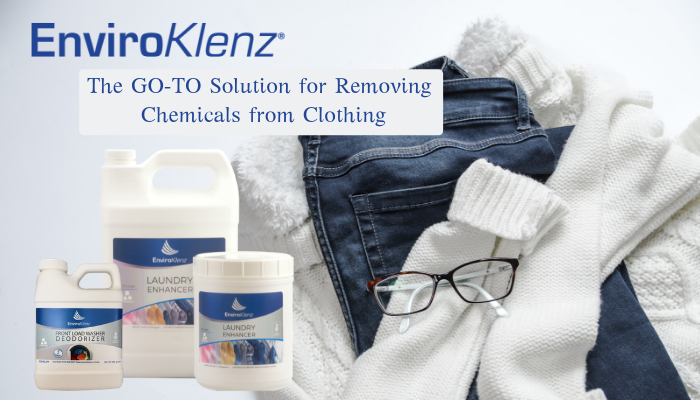 The EnviroKlenz Laundry Enhancer is able to safely remove chemical odors from the clothing and make them safe for the chemically sensitive to wear. When the load is finished, be sure to run a washing machine cleaning cycle in your washing machine to ensure that it is completely flushed clean of the chemicals for the next load of laundry.